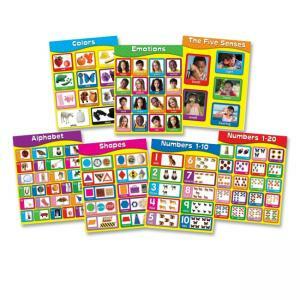 Chartlets are designed for early childhood learning. 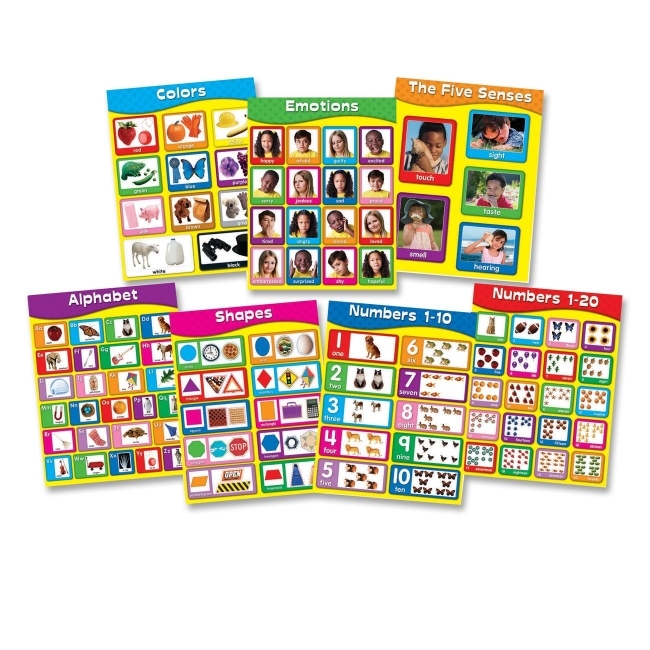 Set includes seven colorful charts that teach early learning essentials: colors, numbers, alphabet, shapes, the five senses and emotions. Each chart has image representations of the learning topic.